This is one of those projects you can do in a hurry with very pleasant results. It’s not only quick but also inexpensive. I decided to use different colours for each side but you can use the same colour scheme for both. Then using embroidery floss embroider the flowers. Place both flowers wrong side together and place the ribbon in between. Stitch both petals together using an embroidery stitch. Then do the same to the other end of the ribbon. I only used two circles so I just used some cream embroidery floss to stitch both together and secure it to the ribbon. 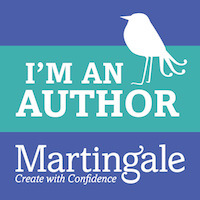 This bookmark makes a cute handmade Christmas gift. See below my other projects using felt die cuts. A while ago I posted a tutorial on how to make felt flowers with felt die cuts. 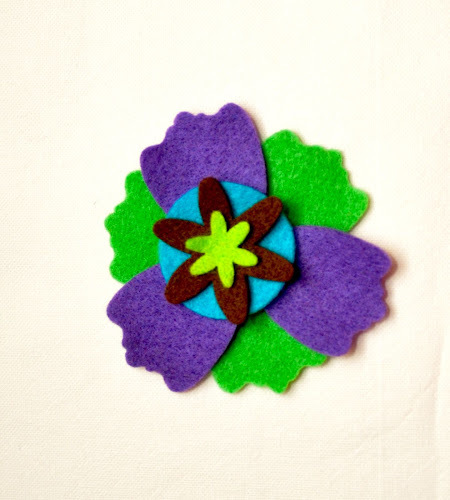 This time I’m using one of the felt flowers to make a bookmark. Cut a 3 inch square. Now cut it on the diagonal. Take the flower die cuts. Now choose matching stranded cotton. Now let’s start doing the embroidery. Use any stitches you like such as long stitch. Stitch all the layers together. Now stitch flower to one side of the triangle. 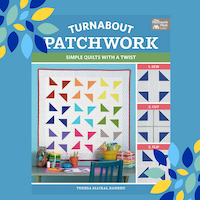 Now let’s stitch both triangles to make the bookmark. You can either plan ahead the final design or just improvise like I do. 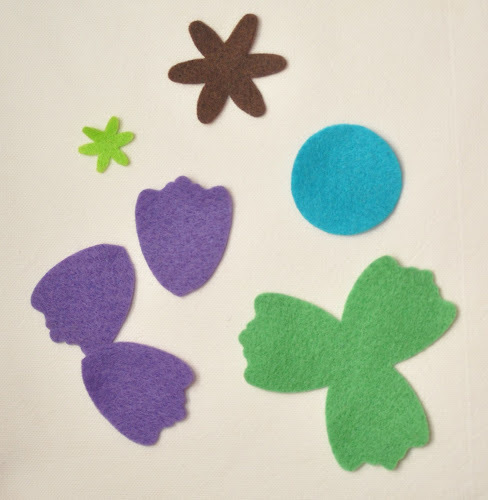 The following are just recommendations rather than a tutorial on how to embellish a felt flower. 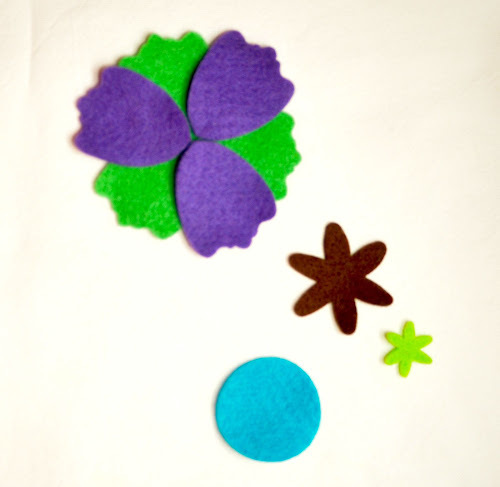 Start with a collection of die cuts in felt. My die cuts are store bought but this can be done with hand cut felt shapes just as well. 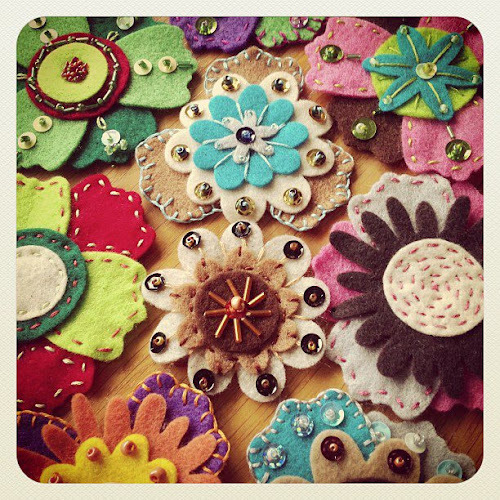 Before stitching the felt shapes together, arrange them in any way you feel fit. At this stage we’re only working out which design works best. Once you are done you’ve chosen your petal combination you are ready to add sequins, beads and embroidery stitches. If you work with several shapes pin them to the previous layer. Then, stitch the top layer to the base using decorative stitches. There are a number of stitches you can use for the outline of the petals. My favourites are running stitch or blanket stitch. I used running stitch for the darker petals. And blanket stitch for the green petals. Now attach the next layer, and the next. In this case I stitch layer 3 and 4 at the same time by adding some long stitches and attaching beads on each petal on the top flower. When stitching each layer you can decide if you will embellish each layer completely separately or at the end or you’ll do a mix. 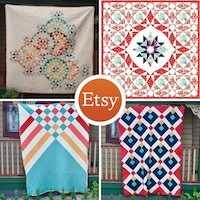 I find it is easier to embellish during and after all layers are stitched together. Sometimes it’s best to wait to place the top layers to know how much space will be left for certain embellishments. For instance you can add a small bead about anywhere but a sequin requires more space. For instance I embellished the second last layer first because I wanted to use long stitches that would be visible under the petals of the green top flower. I added sequins and beads to layers 1, 2 and 3 after all layers had been stitched together. Use more or fewer sequins/beads or embroidery as required. Now I just to have to figure out what to do with all the flowers! Any suggestions?